I was wondering if I would ever start my blog with, ah, what a relaxing week I've had. No fear of that around here. As it's half term for the schools, I've been to visit my beautiful granny in Sussex, my plumcious pregnant friend in Oxfordshire and a fellow supermum for a pre-halloween get together in Bedfordshire. I have given myself the arduous task of peeling 3 kilo's of onions for pickling - a tradition is to always do them on halloween weekend. I always makes my fingers sore and brown from the acid in onions, so I use half a lemon to scrub my nails with afterwards and return them to normal colour. 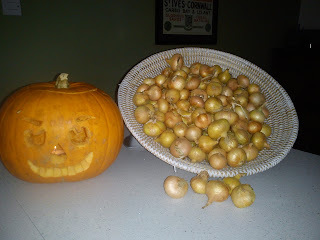 If I have time before the weekend, I 2 more pumpkins to carve up and then find recipe's for - we don't waste food in our household. 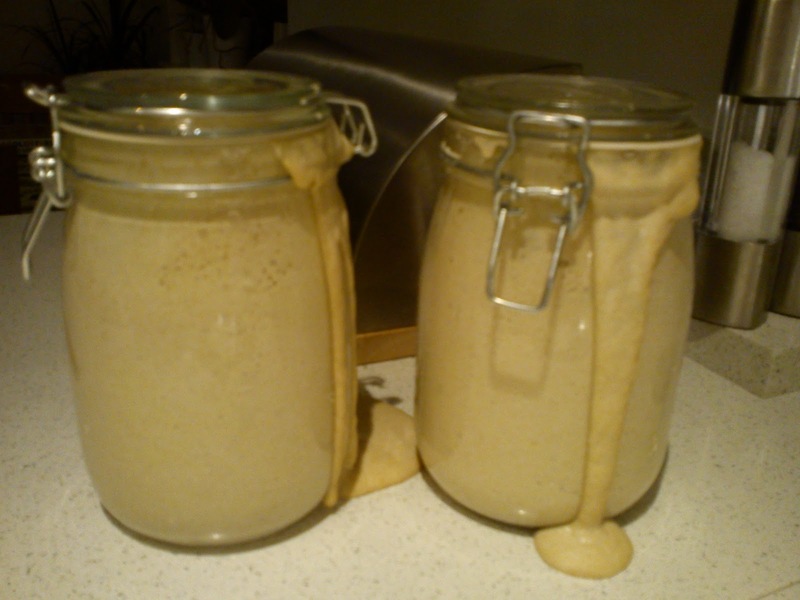 I have had a resounding success with my sourdough bread this week, hitting on a winning recipe and formula, so just doing a couple more tests before being confident to put into my shop window! Having said that, if anyone wants a sourdough loaf today, tomorrow or Saturday then I may have 1 or 2 going spare, please let me know. As usual, please can I have all orders for this Saturday, by 9am Friday. With thanks and happy Halloween! 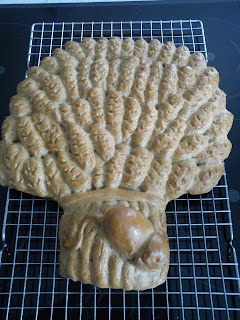 Next Bakes I need 24 hours notice - please let me know by the day before before by 9am. For the last few weeks I have been watching my picked green tomatoes, turn to a lovely shade of red (and yellow - different variety) in the sunshine and thoughts of making oodles of chutney to use up the rest of the harvest are fading fast. So instead, (and some might say a little too early) I have turned to my Christmas pudding which is now all steamed and ready for the festive season. 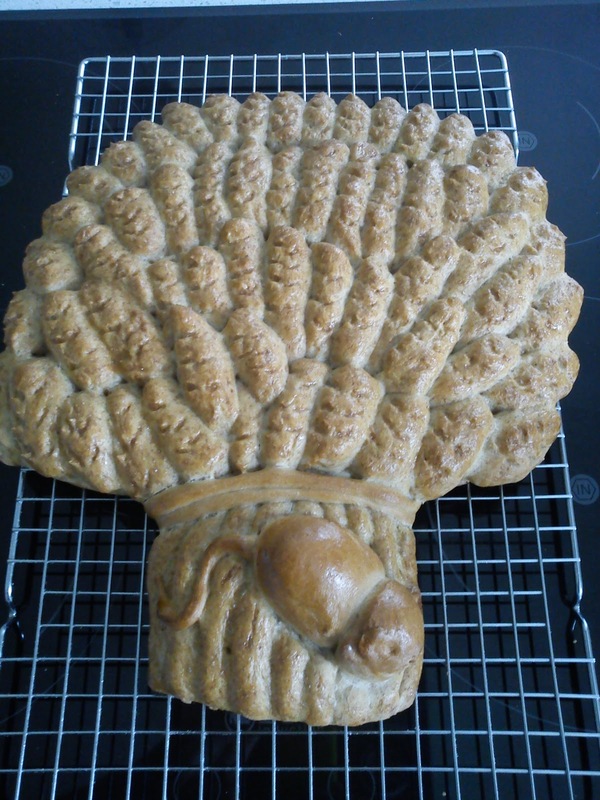 I have also been asked to make a Wheatsheaf loaf for my local Children's Centre at the church - I had to google to see how much work was involved - lots to do but I am up for the challenge.